Thanks for checking out this beautiful 2015 Harley Davidson Dyna Switchback with 7k actual miles. This beautiful Blue bike is in amazing condition and it runs as smooth as silk. It’s a 1 owner bike and we just did the full service so you don’t have too. The Switchback is a great bike since it can be stripped down for around town or throw the bags and windshield on it and you have a full touring bike. The 103ci Vtwin has excellent power and the 6 speed makes highway rides a piece of cake. This was just traded in for a new car so their loss can be your gain. 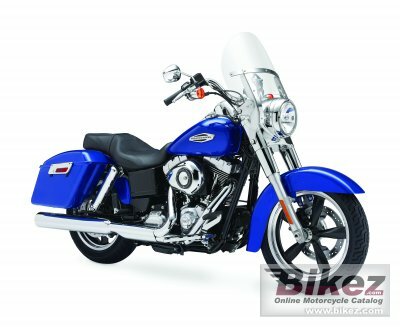 The Dyna is an amazing riding bike and the rubber mounting makes for smooth rides. This bike is pretty much stock so you can make it yours easy enough. I love the wheels on the Switchback as well. Click or call today before someone beats you too it. Call today to set up an appointment! !I have taken many pictures and a short video so have a look and see yourself. Bikes this nice never last long so stop in or call today before it’s gone. Click here to see the youtube video! You may have to copy and paste to your browser to view. https://youtu.be/ClAgCr8h164 I am offering a 100% satisfaction guarantee or your money back no problem. We are a 100% positive feedback dealer on ebay. We do not charge any extra dealer fees so just add your tax and tag and your riding! We don’t always have all owners manuals and extra keys, if we say if we have them it will be in our description. Please don’t assume we have them. We guarantee clean,free and clear title to all vehicles we sell,occasionally there is a small delay for title and we can provide temp tag until you receive it. I do not hold bikes sold online without a deposit unless there is quick communication for payment instructions. Ebay buyers we only accept deposits through paypal. There is a 3% surcharge on all credit card transactions over $1000,otherwise checks,cash,or wire transfers are fine. We do ship to many places in the USA at great rates. We do always consider your trade-ins as well. We have financing available for qualified Florida residents ONLY at great rates. We have an 18 month unlimited mile $0 deductible warranty on 06 and newer bikes that covers pretty much the whole bike starting at $425 good nationwide. We reserve the right to end any listing early since we sell many bikes in our own local market as well. We are Integrity Auto Sales offering quality pre-owned for 29 years at our same great location in the Daytona Beach Area. My name is Jim Coury feel free to contact me on my personal cell 386 547 9369 or office 386 788 1555 with any questions. Please respect the time of day you call my cell. Thanks and ride safe!!! Price as new (MSRP): US$ 16999. Euro 17890. Prices depend on country, taxes, accessories, etc.